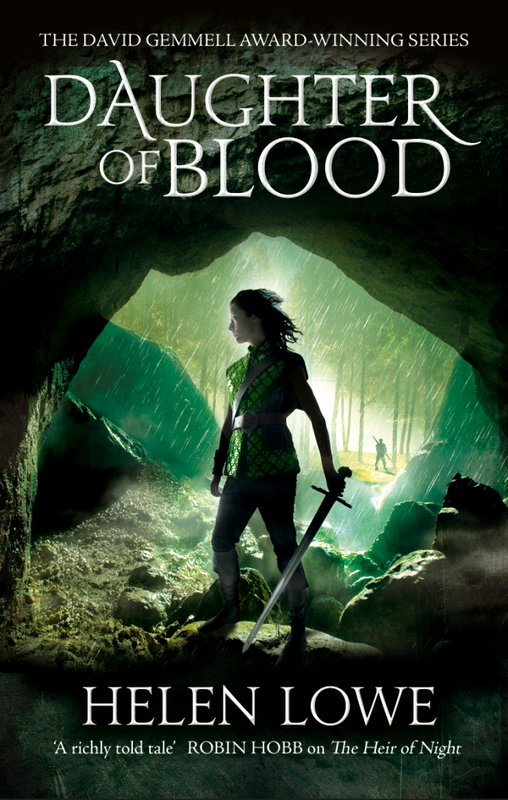 Helen Lowe’s DAUGHTER OF BLOOD: Announcing Release Date and Cover! We are delighted to share our cover for DAUGHTER OF BLOOD, the third instalment in Helen Lowe’s David Gemmell Award-winning series, the Wall of Night. This much-anticipated and thrilling epic fantasy will be released on 26th January 2016, but you can preorder it today! 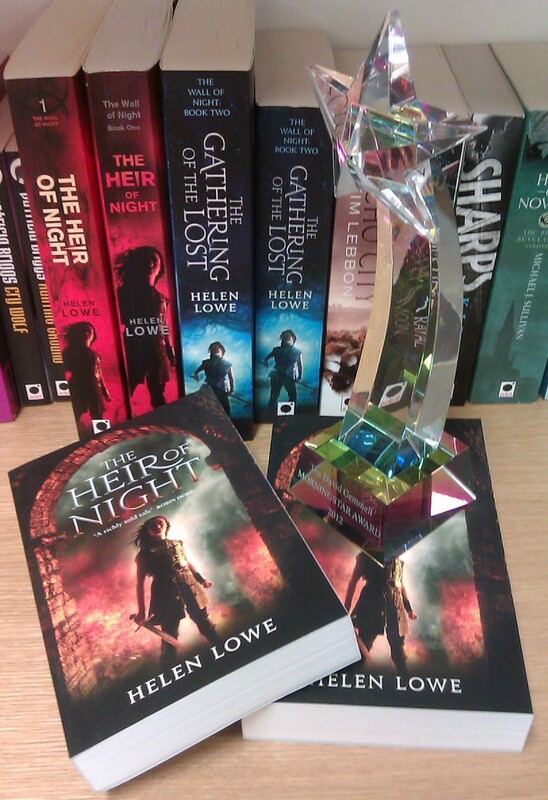 THE HEIR OF NIGHT wins the David Gemmell Morningstar Award! Biggest congratulations go to Helen – we can’t think of anyone who deserves this more. 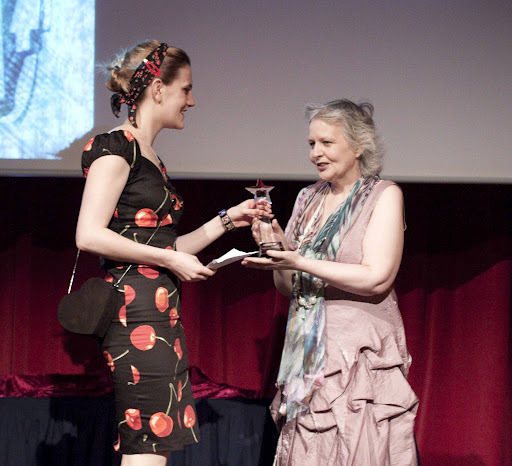 We’re constantly amazed by her hard work and her skillfully plotted fantasy writing, (we just can’t wait for her third novel, DAUGHTER OF BLOOD) and we’re delighted that she’s been recognised in this way. 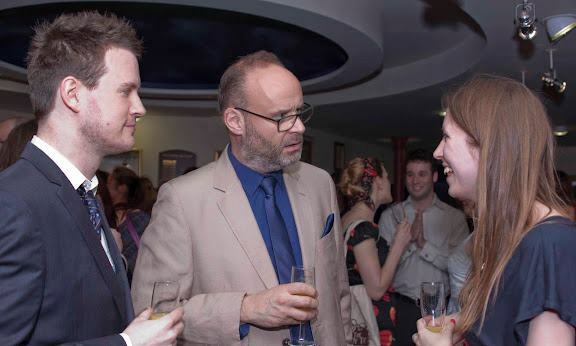 The win was announced on Friday evening, in a glamorous ceremony held at the Magic Circle Headquarters in London – some photos of the awards ceremony below. Congratulations also go to the other winners on the night: Patrick Rothfuss, who won the Legend Award, and Raymond Swanland, who took home the Ravenheart Award for best cover art. The Morningstar is awarded to the Best Fantasy Newcomer of the year. Here’s Helen’s announcement on her website, and the acceptance speech that was read out on the night. The award itself! To be posted very carefully to New Zealand today. The award is collected by Orbit on behalf of Helen Lowe. Credit to Stan Nicholls and Sandy Auden for their photos of the ceremony. Last week we showed you the first part of this interview, in which Helen Lowe interviewed Ian Irvine about the publication of his brand new epic fantasy series, The Tainted Realm. This week the tables have turned! Click through to the interview to read more . 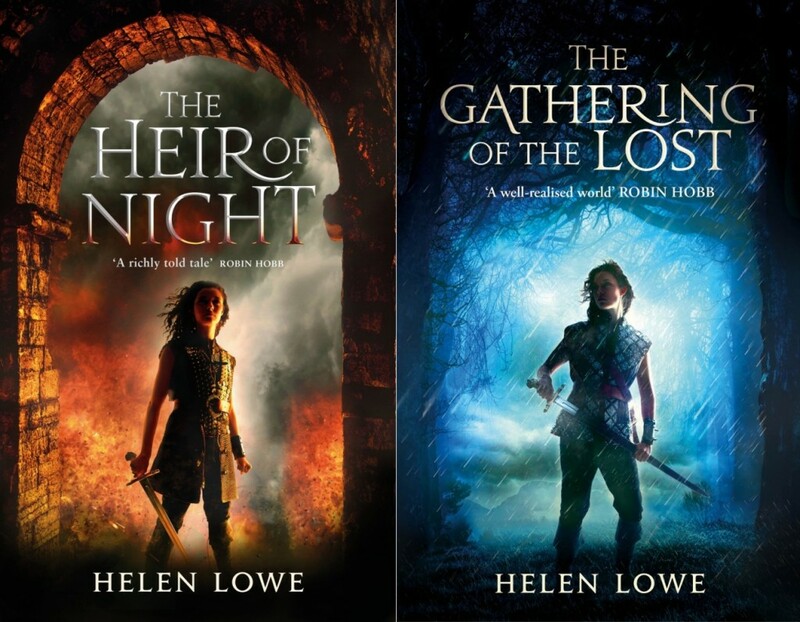 . .
Ian: I haven’t done an interview swap with another author before, and it’s been a challenging experience to be put on the spot by Helen Lowe, who also writes epic fantasy and loves it as much as I do. But now I get to ask her the hard questions! 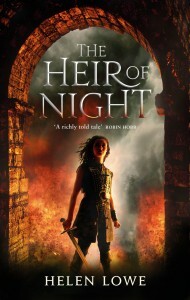 Recently I was asked, ‘what makes Malian, your main character in The Heir of Night unique in epic fantasy? And what makes a hero, anyway?’ My initial response was ‘aargh, the pressure’—not just of an example, but of encapsulating what is often the slow delicate process of character evolution. And Malian of Night’s character did evolve over many years, from long before I first put pen to paper: sometimes in small increments, occasionally in giant leaps. I have spoken elsewhere of the similar emergence of the Wall of Night world: from around the age of 10 I had a vision of a rugged, shadowy, wind-blasted environment, and the concept of a youthful female protagonist within that world developed at much the same time.